It’s time Back to School time. Can you believe it?! Whether you homeschool or send your kids to public school, it’s time to get back into the daily school routine. Are you ready? 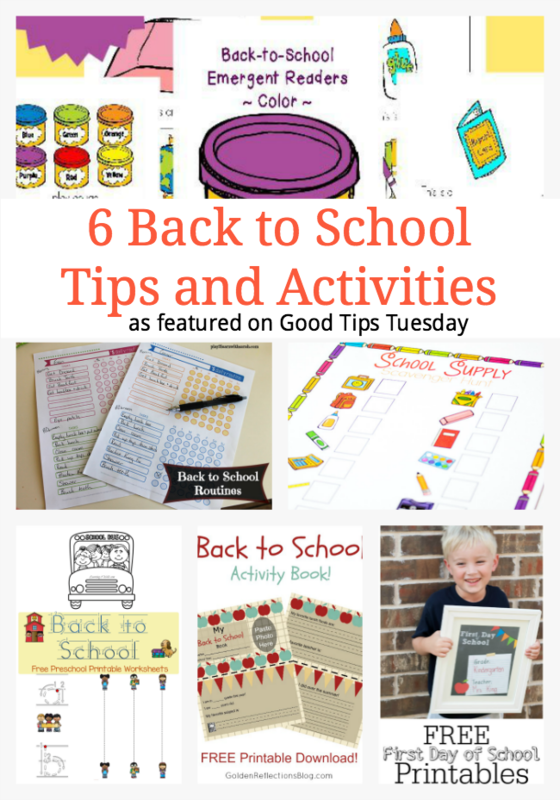 Today we’re featuring 6 Back to School Tips and Activities that were linked up in last week’s Good Tips Tuesday. You’ll find some great ideas to get you and your little ones ready for school.